Starring Benjamin Walker, Dominic Cooper, Anthony Mackie, Mary Elizabeth Winstead, Rufus Sewell and Jimmi Simpson. 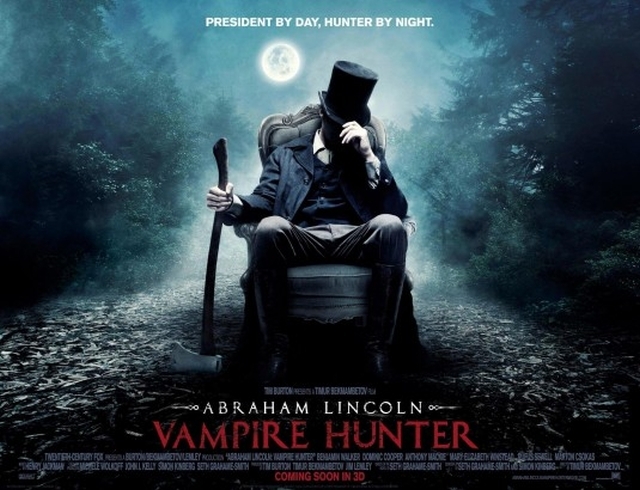 Abraham Lincoln: Vampire Hunter is one of a line of mash-up books, including Grahame-Smith’s own Pride and Prejudice and Zombies, which are currently extremely popular in the fiction world. Teaming up with Producer/Director Bekmambetov and Producer Tim Burton, and adapting his own book for the screen, Grahame-Smith brings the first of his two books to the theaters this summer with Abe Lincoln. With it’s over the top visuals and absurdist premise, will Abe Lincoln Vamp Hunter be among this year’s most fun excursions to the multiplex or will it be this year’s Jonah Hex? Director Giorgos Lanthimos smashed onto the scene in 2009 with the Venice Film Festival award winning Dogtooth. 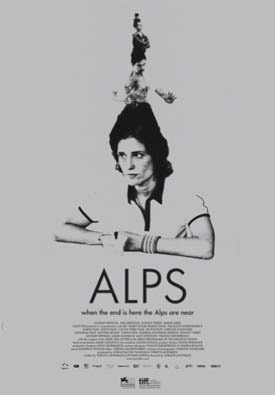 Lanthimos returns with another surrealist dark comedy with Alps, which starts its engagement at TIFF’s Bell Lightbox this Friday June 22nd. With the plethora of Johnny Cash documentaries and the biopic “Walk the Line” you would wonder if we really need another look at this music icon on film. 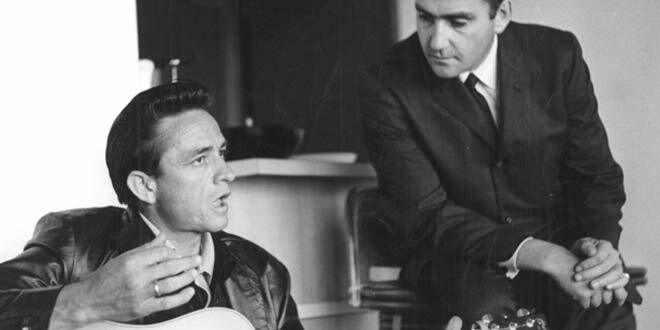 But My Father and the Man in Black sets itself apart because it’s NOT a film about Johnny Cash but a film about Saul Holiff, Johnny Cash’s long-time manager, the director Jonathan Hollif’s estranged father who he had not talked to for the last 20 years of Saul’s life, leading up to his suicide in 2005. What we get, in the words of the director, is essentially a slickly produced home movie about the father he barely knew and the life he led that his sons knew next to nothing about. 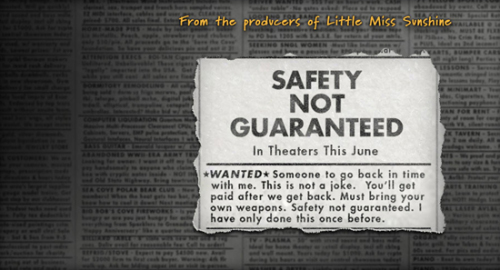 Safety Not Guaranteed, the newest film from Alliance Films and produced by the Duplass Brothers, may end up being one of the hardest movies to categorize this year. Part Sci-fi time travel opus, part romantic comedy, part melodrama and all oddball quirky comedy, Safety rides a lot on the performances of its leads. But is it one of those films that can get buried under its own quirkiness? The Island President is the story of the President of the Maldives, Mohamed Nasheed, and his fight to save his island nation from a natural disaster brought on by global warming. It follows his history from activist to president, but spends most of its time focused on the first year of his presidency and his influence on the Copenhagen Climate Summit held in 2009. 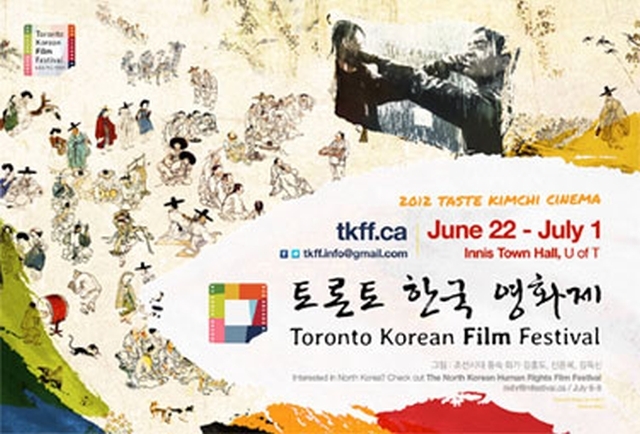 The film has a strong environmental message behind it, but is the film as strong as its message?